. 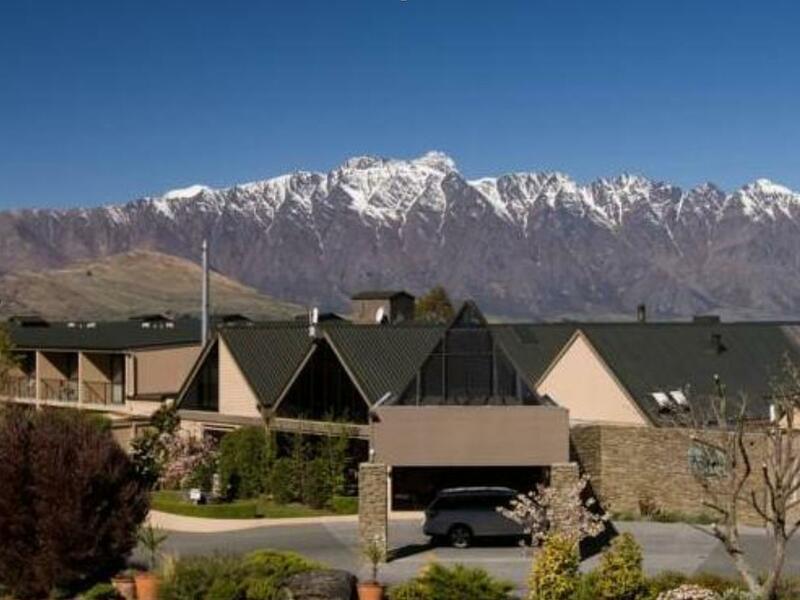 يعمل Aspen Hotel Queenstown على ضمان إقامة مريحة لضيوفه من خلال خدماته الممتازة وحسن ضيافته. إن خدمة الغرف على مدار الساعة, مرافق مخصصة لذوي الاحتياجات الخاصة, واي فاي في المناطق العامة, صف السيارات, خدمة الغرف هي جزء فقط من الخدمات التي تميز Aspen Hotel Queenstown عن باقي الفنادق في المدينة. تتضمن كل غرف النزلاء وسائل الراحة والتسلية المصممة خصيصاً لضمان الراحة القصوى للضيوف. يقدم الفندق مجموعة واسعة من وسائل الراحة المتنوعة، كمثل: حوض استحمام ساخن, سبا, حديقة. إن كنت تتطلع إلى إقامة مريحة وهادئة في المدينة، فستجد في Aspen Hotel Queenstown بيتك الثاني. The hotel was undergoing renovation when we were there, so was noisy and many areas cordoned off, however our room was amazing and the breakfast area had a great view. I can see the potential once it's fully renovated. It is not walking distance to town (very steep, big hill) but there is a bus the runs along the main road so it's not an issue. Hotel has recently changed name and had a refresh to Kamana. 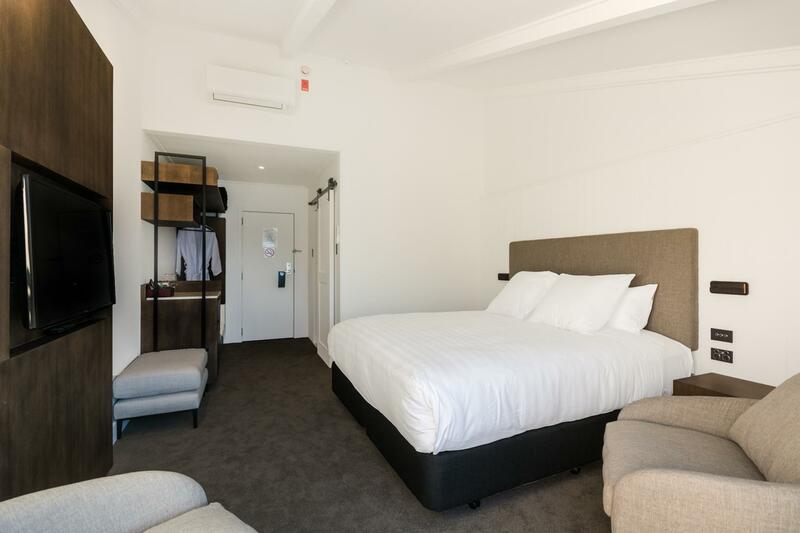 The rooms are clean, comfortable and modern. The bathrooms great and sparkling. Get a room with a view of the lake, wonderful views in comfort. Even though they are undergoing renovations the rooms are beautiful and newly renovated. Staff are amazing and friendly and helpful great with recommendations. Perfect views from the rooms- incredible! Would highly recommend and can’t wait to come back and see the renovations complete! This newly renovated hotel room was absolutely stunning. It had fantastic views of the mountains. Not only was it so spacious, it was equipped with nice touches that make the room feel and look luxurious. The staff were really nice. Especially Chris who had let me borrow the scales for my luggage and entertained my chatty nature and the maintenance/cleaner who saw us come in offering to take our bags from the car. I would definatly come back to this place. It was so comfortable and 10 mins away from the city centre. Is new and with spectacular view. Hotel is quiet and clean. I will be back! The hotel is a distance from the town area and the walking uphill is an exercise as it is up on the hill but it has a beautiful mountain / lake view ! Room is very quiet and clean although the water heater temperature was a little unstable. Continental breakfast provided was sufficient as they have selection of cereals and pastries with an amazing view from the restaurant. A tired Hotel with a great view.This hotel was a little out of town ,but ok if you have a car and local bus stops here..Our room was clean but old.With a make over this would be a top spot.Continental breakfast was adequate , coffee luke warm each morning , but do have a barista option from the bar. Had the lakeside view. Room 423. Wow. Amazing. Some people commented the staff was rude in the past. We did not find that the case. Very helpful and friendly. The steak in their restaurant was excellent. Only drawback for some may be is its outside the town but as we rented a car. Not a proble for us. Queenstown, how I miss you. Love everything about this town and this hotel. the hotel staff are very friendly and helpful, the restaurant is still under renovation, but didn't bother us at all. our room has a amazing view, everything is our room seems are brand-new, oh god, I love the bed, very comfort.! it was a pleasant stay. We booked 5 days stay in Dec 14 for hotel with Garden View, however the staff was good enough to upgrade us to the lake view. 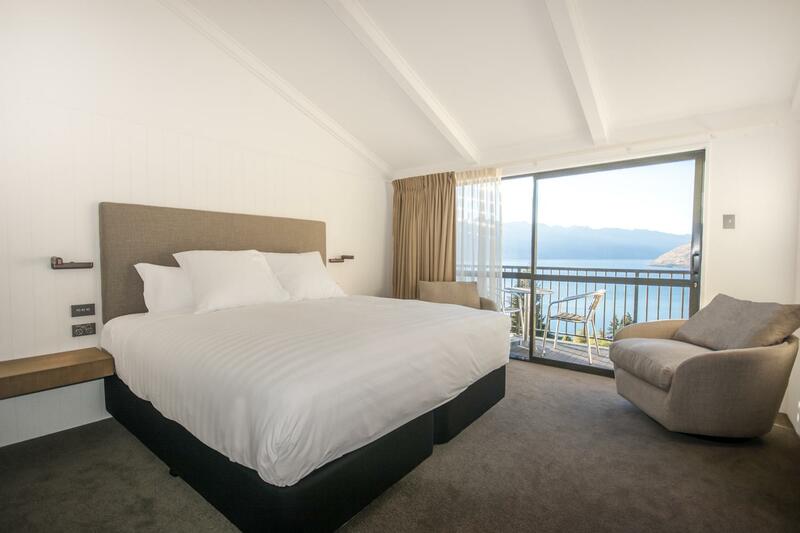 Ilove the balcony, most of the time me and my husband take our morning coffee time while viewing the Lake Wakatipu beauty. Its one of the best hotel view that i ever stayed. A little far from town centre, bus stop is near hotel if ur not driving. The scenic view by the lake is really refreshing and away from the crowded city if u just want to spend time alone. Clean and tidy. Helpful staff. Nice breakfast. There seems to be two very different room types, the courtyard rooms are much lower quality and this isn’t conveyed on the website. The room smelt, had two single mattresses pushed together and the shower pressure very low and kept going from hot to cold. Overall it was fine for one night and the price is okay but not very comfortable. Out of a 25 day vacation , this was my most expensive and most disappointing stay. If you just need somewhere to be, this has a lovely view. But if you expect the services promised (working phone) or assistance with tours or information on town, or if you have any dietary concerns, this place is awful. I couldn’t get any help on contacting tours even though my phone didn’t work. Since the front desk staff doesn’t communicate with anyone, couldn’t find out what I could eat for breakfast ahead of time. It took them 30 minutes morning of to look up two cereal ingredients. I don’t have enough space to adequately describe how terrible and arrogant the front desk staff acted. Avoid this place — plenty of others with a beautiful view and more affordable. Clean, tidy.staff friendly. Bus service to take you downtown as a good long steep walk into town. Fantastic views from dining area. Food wuit good.breakfast basic but enough. Not always enough fruit. Cons-return journey.Small room e d corridor.Bed pushed Against wall so no access out easily...no bedside table..no lights near the bed at all. Hot water in this room took 10-15 minutes to come through so frustrating.Staff aware but no other room offered and not full. Anyway bed comfortable. .good pillows.only for last one night otherwise would have requested an upgrade. Overall a lovely place.